Gap is using Smore newsletters to spread the word online. Why is gap insurance option when purchasing insurance coverage for your vehicle? It’s a terrible thing to lose your car in a fatal accident or for it to be stolen. But there are worse things: imagine if any of the two things mentioned happened and you still owe a lot of money for the car. This is why you have GAP insurance. This is what makes GAP insurance stand out. Which car is best for GAP insurance? Cars lose their value very quickly. In case you don’t know, once you drive out your new car from your auto dealer shop, 11% of its value also walks away. That’s the lifecycle of new cars. Depending on the type of car, 15-25% of the car’s value also drops within the first five years. Remember that GAP insurance takes care of the gap between the insurer’s payment and the amount you bought the car. This is why GAP insurance is a good option for your new car. For not so new cars, the value will be low although the depreciation rate will be slower than that of a new car. This means your insurer isn’t going to pay a good amount to you. 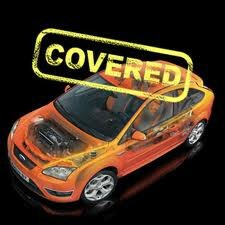 The difference between the amount you bought the car and what the insurer pays will be low. This doesn’t make GAP insurance the best option for older cars. When you should or shouldn’t use GAP insurance. • If your initial deposit is less than 20% of what the car is worth, you shouldn’t go for GAP insurance. • The brand of your car loses more value very quickly than a normal car will. • You had a debt from the previous car and the debt is heavier on the car that is written off or stolen. • If you can afford between the gap price that the GAP insurance takes care of. How to get GAP insurance. You can speak with your car insurer. This is the best place to get your GAP insurance. You can make a deal on how to pay for it. If the amount might be too heavy all at once, your auto insurer can make a way for you to pay in installments.